If there’s one thing you need to know about Green Badger, its that we love a frosty pint for almost any reason – especially if it occurs during times that used to be dedicated to slogging through LEED paperwork. While we love all kinds of beer, when we travel we drink local. And even more than local brews, we love breweries that incorporate sustainability into their ethos and operations. Below you’ll find our initial compilation of sustainable breweries from across the country – if there’s some we missed, please let us know! 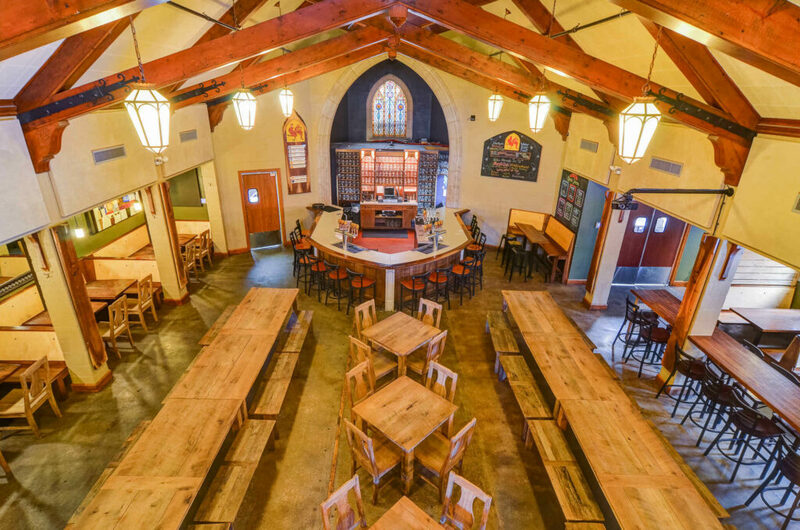 Brewery Vivant was awarded the first ever LEED certification (LEED Silver) for a production brewery in the United States in 2012. Being a sustainable company for Brewery Vivant means considering the impact of their decisions on the natural environment, the people that may be affected, and the financial health of our business. We operate according to the Triple Bottom Line of People, Planet, & Profit. In 2014 we became the 4th certified B Corporation in West Michigan (there are over 900 B Corps globally). “Rather than construct a new building, we envisioned renewing the old, uncared-for brick structure with the spirit of Mother Earth herself. We dove into a thorough study of environmentally friendly construction material. Less than a year later, we reached their goal. Various building materials color the brewery green from top to bottom. We were even able to reuse 95% of the original brick, wood and steel from the structure in the construction process. A six-kilowatt solar array stands on the roof as a tribute to the authority of that great star we orbit, the sun. This enables our Tap Room & Beer Garden to be 100% solar powered, 24/7/365. Blue jean insulation, a 100% recyclable product, was used to insulate the walls. In addition to being a recyclable product, it also has outstanding sound barrier qualities. Soy-based spray foam insulation protects the second story ceiling. Low-VOC (volatile organic compounds) paint covers the walls. 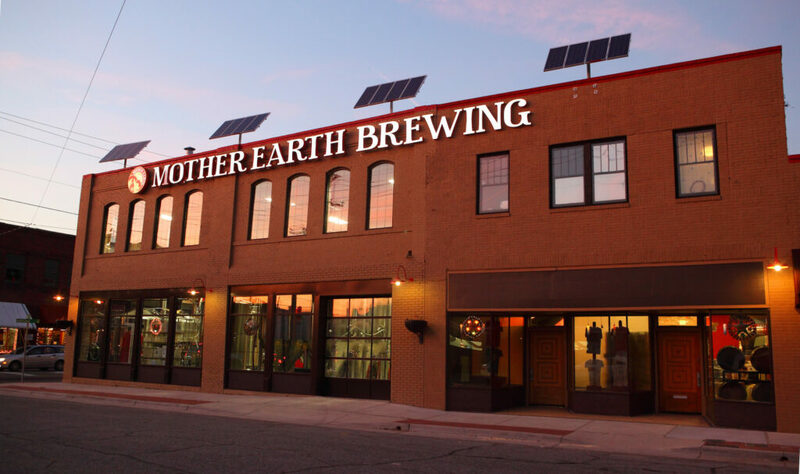 The flooring wasn’t ignored, either: Mother Earth Brewing’s corporate offices sport eco carpet partially made from renewable resources. A state-of-the-art tankless water heater heats water on demand, instead of using needless energy to keep hundreds of gallons of water heated at all times. Eco faucets in our bathrooms offer an incredible savings in water compared to conventional faucets. Eco flush valves on toilets know just the right amount of water needed for the job, and reduce water needed for flushing by 30%. We installed a 2,500-gallon cistern in our beer garden to catch rainwater, which we use to water our outside gardens and pump gray water into our toilets, rather than using fresh water. “LEED Platinum certification was achieved through a detailed planning and design process, based on lessons learned from our Chico, California, facility. 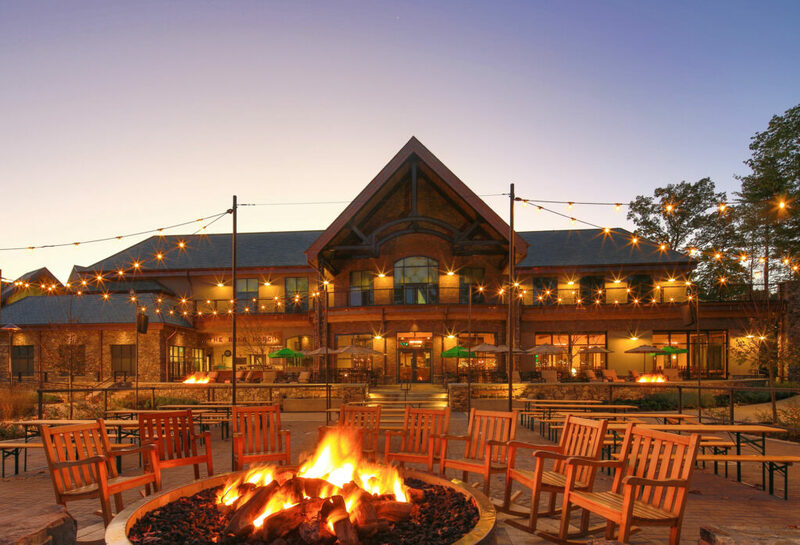 From the start of construction in 2012, Sierra Nevada closely adhered to LEED guidelines resulting in a site that is among the best-in-class for breweries. The construction of the building was carefully considered for both efficiency and to counter the energy and noise demands of the brewing environment. Insulated tilt-up concrete panels and energy efficient windows and doors keep temperatures stable, bring in natural light, and keep noise to a minimum. The Mills River brewery boasts nearly 2,200 photovoltaic solar panels spread over the warehouse roof and on nine tree-like canopies in the main parking area. 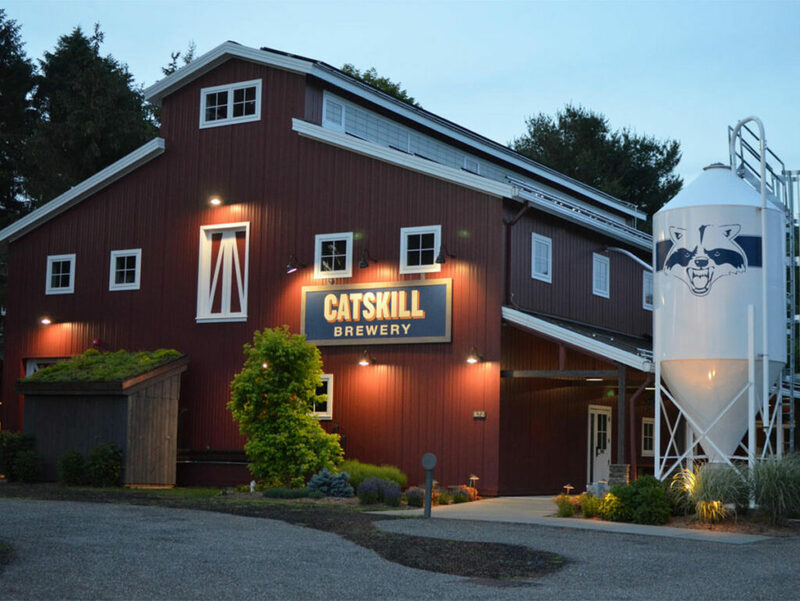 The brewery also uses Capstone Microturbine technology to convert methane biogas captured from the on-site wastewater treatment plant into electricity. The solar array and microturbines are capable of producing up to one megawatt of renewable power and are expected to generate 20% of the facility’s electrical needs. Sierra Nevada embraces a zero waste philosophy in every facet of its operations. During construction, metal, cardboard, wood, plastic and concrete waste was collected in separate bins for reuse or recycling, resulting in 81% of all construction waste being diverted from landfill. Shortly after achieving LEED certification, the Mills River brewery was certified as a Platinum Zero Waste facility by the US Zero Waste Business Council. “At Smuttynose Brewing Co. we believe in more than just fine craft beer. Without the people to brew, bottle and distribute and without our beautiful natural world, we wouldn’t brew a drop of beer. What’s a cold Summer Weizen without a hot July day or a dark Winter Ale without a frosty December? Not much. For these (and many other) reasons, we take care of our people and our world. For starters, the Smuttynose Brewery is registered for Leadership in Energy and Environmental Design (LEED) certified. LEED is a federally-recognized certification that we’ve worked and planned really hard to achieve. We should have our final gradiation in July, 2015. Heck, we recycled two whole buildings! The original Towle Farm house is repurposed for Hayseed and the pre-Civil War barn will be repurposed in the future. We further cut our waste by sending spent grain to nearby farms for feed. And what we can’t send elsewhere, we reuse right at home. We put so much effort into our footprint reduction that the Aquarion Water Company gave us the first annual Aquarion Environmental Champion Award! 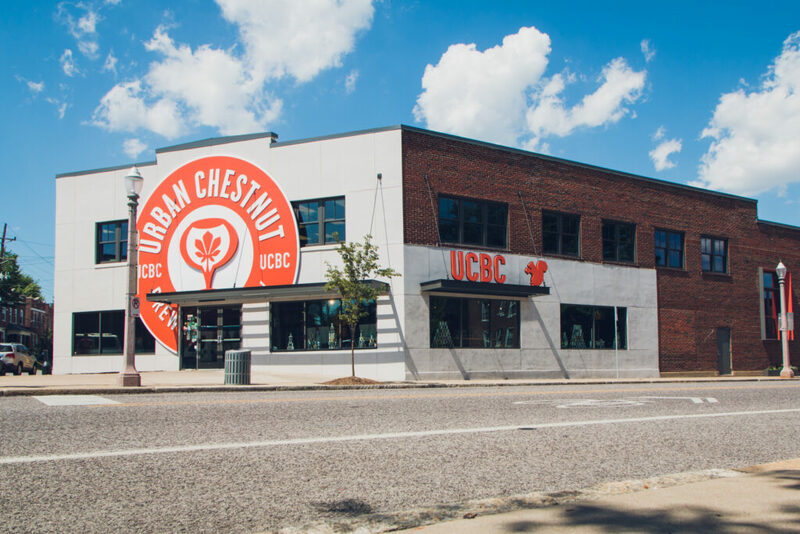 “We feel that it is our responsibility to strive to reduce our impact on the environment during every step of operations at Urban Chestnut. From energy and water consumption to waste management, we have implemented strategies to become a more environmentally sustainable and responsible organization. We are a small brewery, but we constantly strive to have a positive impact on the environment and within our community. Water is used in vast quantities during the brewing process. In fact, on average breweries use approximately 6 gallons of water for every gallon of beer produced. Thus, at UCBC we work to reduce our water consumption whenever possible. Cleaning in the brewery consumes the largest amount of water; therefore, we work hard to implement cleaning procedures that will reduce the amount of water needed to create a sanitary brewing environment. During the brewing process, we utilize a steam condenser with our boil kettle to reuse water that would otherwise be lost, and all of the water we use for cooling our wort is re-captured and delivered to the hot liquor tank where it is again repurposed. Recycling is one of the most basic components of environmental sustainability. Thus it is one of our core programs as we seek to become a zero-waste brewery. Our facility recycles cardboard, paper, plastic, aluminum, tin, wood pallets, glass and any other materials that have a viable recycling stream. We are also cognizant of the fact that recycling is not a one way process, and take care to close the loop by purchasing products containing post-consumer recycled content whenever possible. Together with our composting efforts, UCBC recycles/repurposes approximately 97% of all waste. In addition to our recycling efforts, we employ a composting program in order to further our zero-waste initiative. We compost all biodegradable waste, including: food-waste from our taste room, spent hops and yeast from the brewery, and the compostable paper products used in our biergarten & bierhall. Composting helps to divert waste from landfills, and captures CO2 in the soil so that it is not released into the air. This means that by composting we are actually able to reverse our carbon footprint.